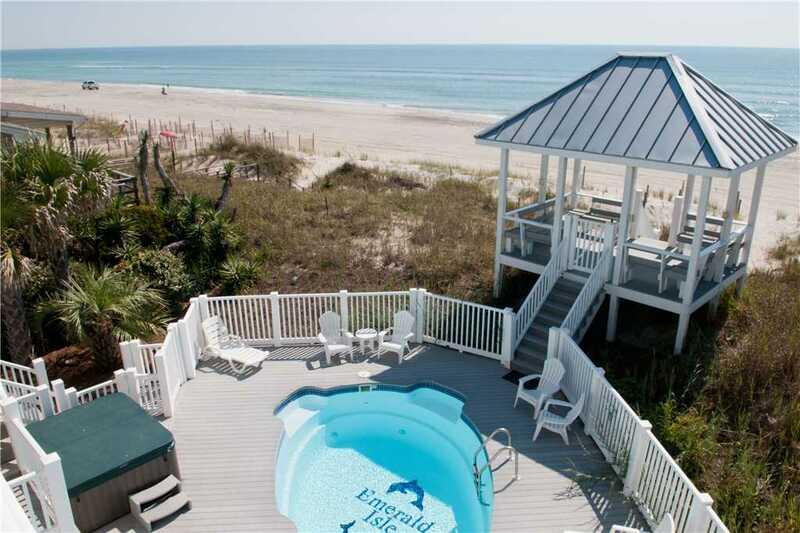 If you have been looking for an oceanfront rental that tickles your fancy, look no further! 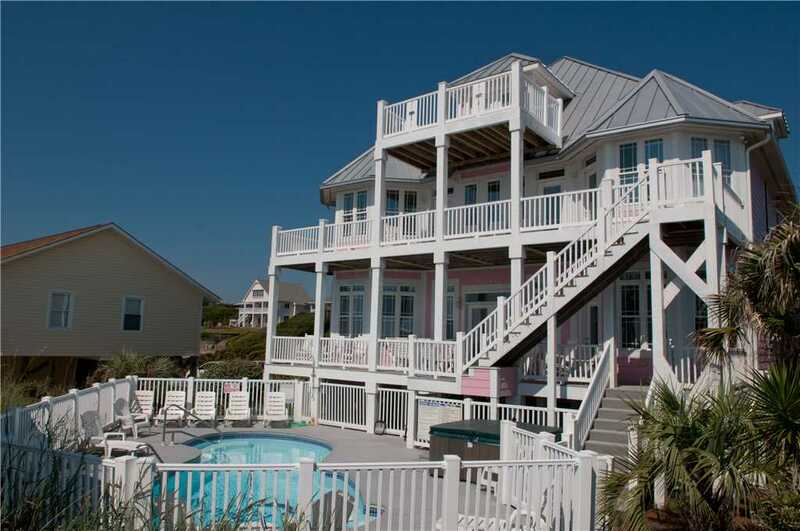 1 Tickled Pink is a stunning 8-bedroom beach house that overlooks the Crystal Coast. The amenities are unbelievable, the property is beautiful and the house epitomizes the definition of luxury. 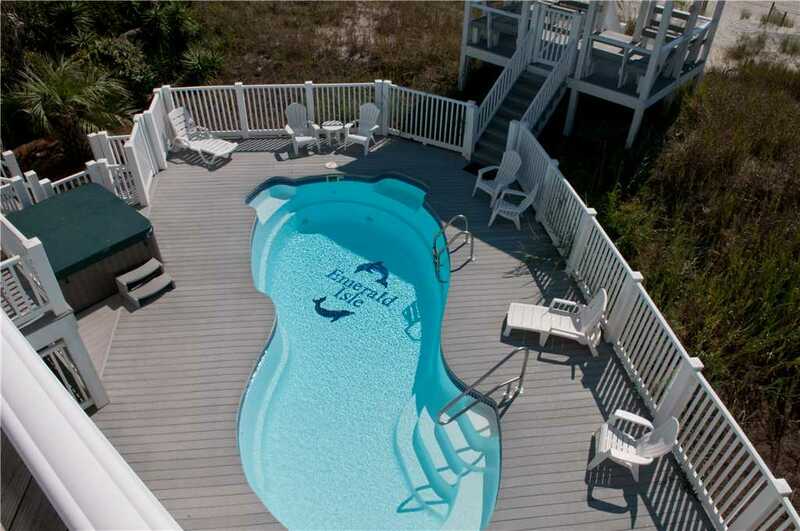 This rental is everything and more you could want on your stay in Emerald Isle. 1 Tickled Pink is a three-story home that has impeccable beach views with an elevator for easy access to a glimpse of the ocean from every floor. With 8 bedrooms and 10 ½ baths, there is plenty of room for everyone to spread out and get cozy. 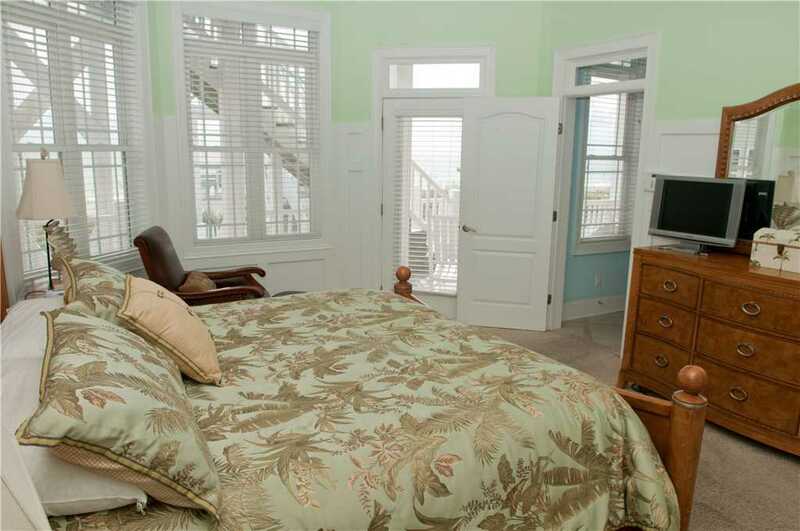 There are five oceanfront master suites all with their own private baths. 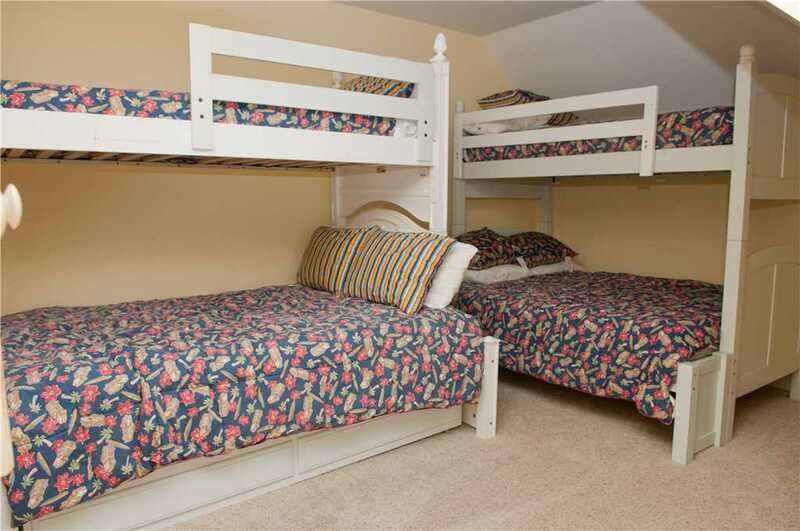 The other bedrooms have either queen or full- size bunk beds that are perfect for the kids to stay in. Each of the beds are made upon arrival with linens provided by the Sand Castle Club linen service. When you make your way downstairs, you will walk into a nicely decorated family room accompanied by a wet bar and wine cooler that are great for entertaining. With large comfy couches and an airy floor plan, everyone will want to sit down, kick back and watch television on the 60” inch HDTV. On a cold night, you can even turn on the electric fireplace to give the family room that extra holiday feel. As spacious living areas are a reoccurring theme throughout the house, you and your guests will most likely find yourselves congregating around the granite island. 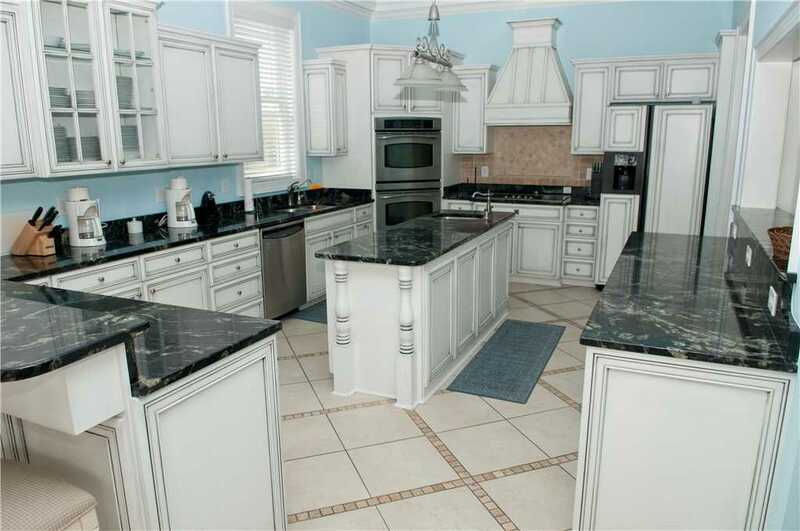 This kitchen is ideal for cooking a gourmet five-course meal the whole family can enjoy. With granite countertops, double wall ovens and two dishwashers, you should never have to worry about running out of clean dishes or having enough room to cook. A Thanksgiving feast is in this house’s future! On a vacation, a little family competitiveness can keep things interesting. Challenge your kids to a round of putt putt on the covered putting green underneath the house or host a pool table tournament channeling your inner pool shark in the game room. 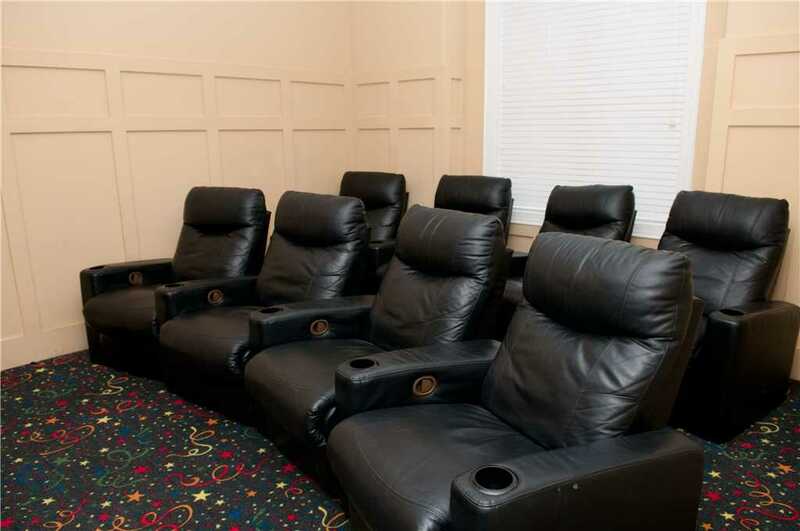 After game night, wind down in the theatre room while you and your family watch a movie on the flat screen TV with the surround sound stereo system; it’ll be just like a taking a trip to the movie theatre! As amazing as the house is on the inside, the outside is equally as appealing. There are covered and open decks on all three levels of the house with each deck equipped with porch furniture. To top that off there is a gas grill, hot/cold outside shower and a hammock on the first level. Surrounding the heated swimming pool and hot tub are chaise lounges and chairs great for taking a quick nap in the sun. Literally just steps away from the beach, take a walk up to the gazebo located right off the pool for a memorable Emerald Isle sunset. 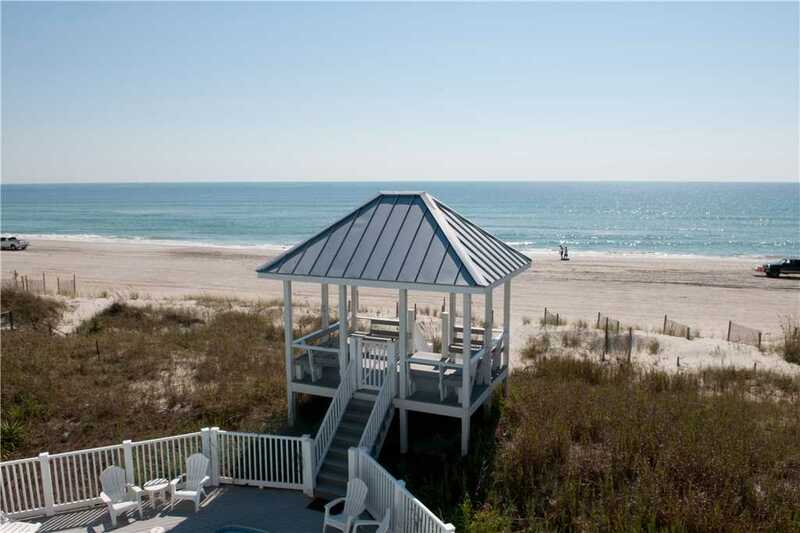 The beauty of this vacation rental gives you stunning ocean views, quick and easy access to the beach and something for every member of the family to enjoy. Close to town, you can take a bike a ride to the grocery store or go on a walk to the local restaurants to grab a bite for lunch. 1 Tickled Pink is a true Emerald Isle treasure!  Be sure to check the availability of this rental today.